Shapes & Curves Lawn & Garden. Shapes & Curves Lawn and Garden provides professional, personalized, and quality Landscaping services since 2004. 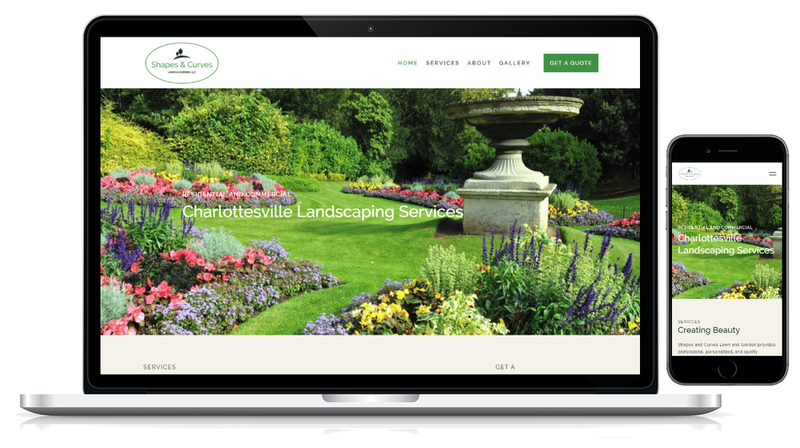 We brought their services to life with a clean an elegant website that's optimized for mobile. First time website to inform and reach locals. We did it all- custom web design, custom CMS, brand identity.